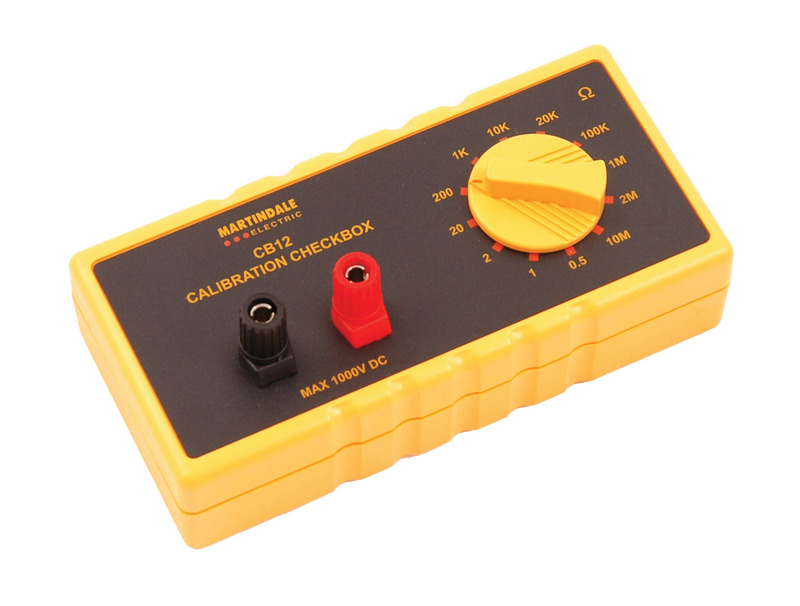 The CB12 is a portable check box for checking the resistance and continuity ranges of multimeters, insulation testers, multifunction clamp meters and test instruments which use resistance as part of their measurement capability. This check box provides a quick method of verifying that a test instrument is giving accurate readings between annual calibration. It is simple to use and is designed to be a quick check device for workshop and site use. Connect the instrument under test via the 4mm terminals on the front of the check box. Select a resistance value using the rotary dial and set the instrument under test to the relevant test range. The values can be checked or an insulation test can be performed to check that the values are within the appropriate limits.